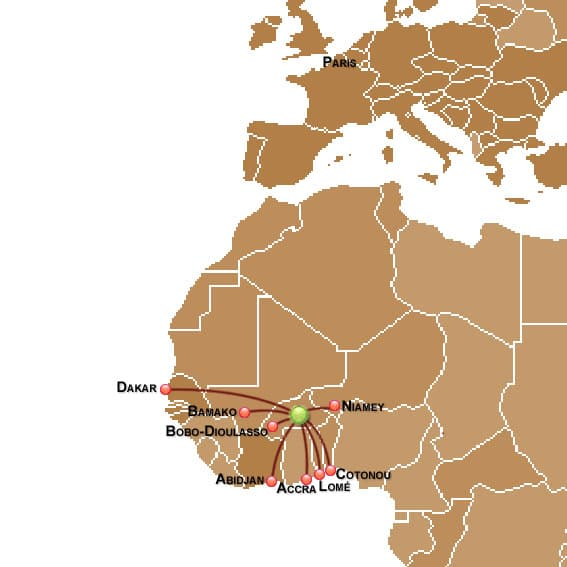 Air Burkina is the national airline of Burkina Faso, operating scheduled services to domestic destination and regional services to Togo, Benin, Mali, Niger, Senegal and Ghana. Air Burkina’s fleet is made up of two Embraer 170 aircrafts, providing the best international standards in terms of security and comfort. 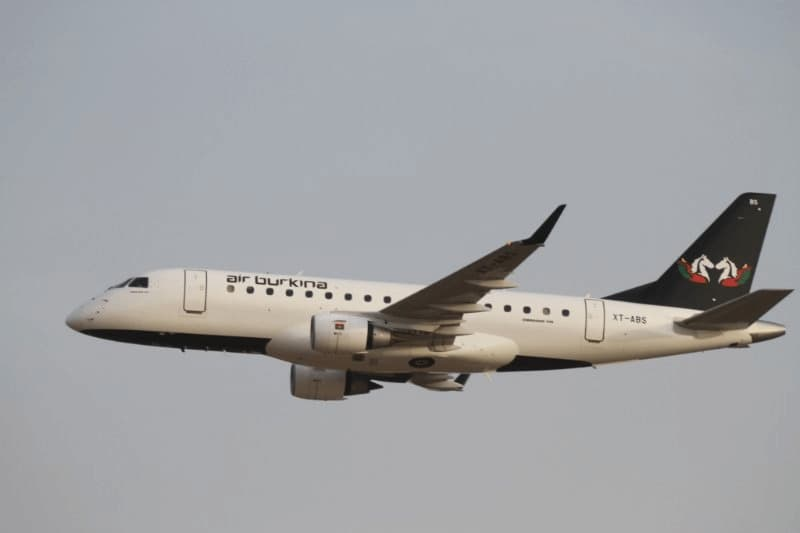 EMBRAER 170; Equipped with 12 Business class seats and 56 Economy class, the Embraer 170 is particularly suited to serve the regional network and provide the best comfort to passengers. Abidjan, the financial capital of Côte d’Ivoire and a cosmopolitan city. Accra, the capital of Ghana, an enchanting city with a rich history. Bamako, the capital of Mali. Dakar, the capital of Senegal. Air Burkina to Lomé, the capital of Togo.